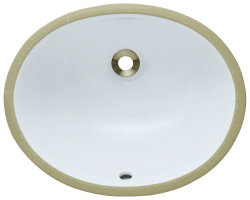 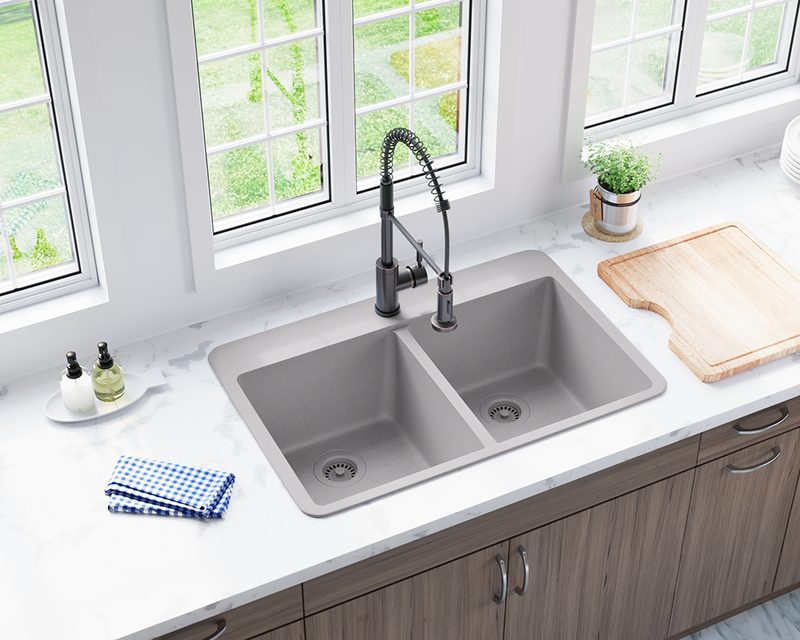 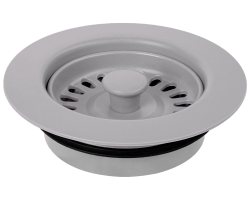 The TruGranite T802-Silver equal, double-bowl, topmount sink is made from a granite composite material comprised of 80% Quartz and 20% Acrylic. 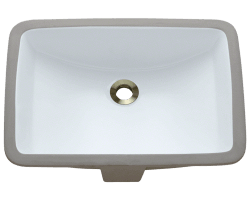 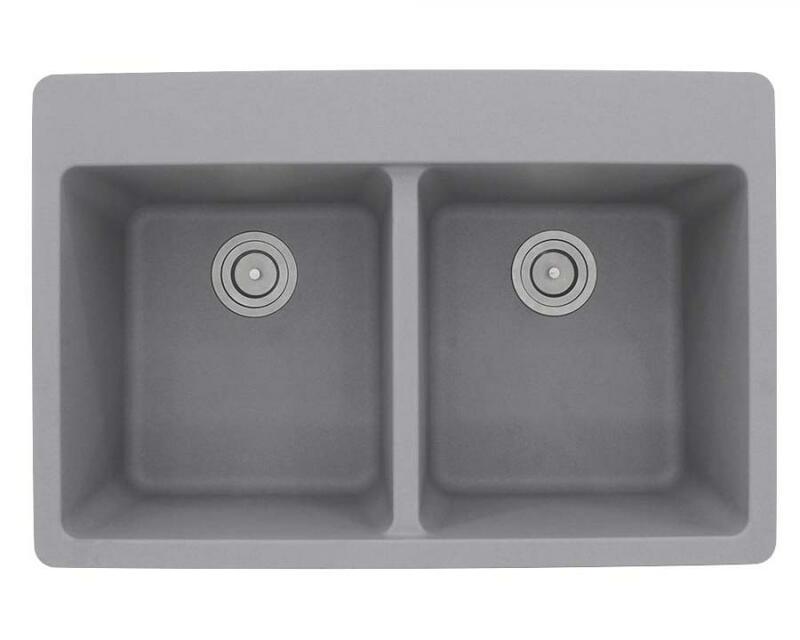 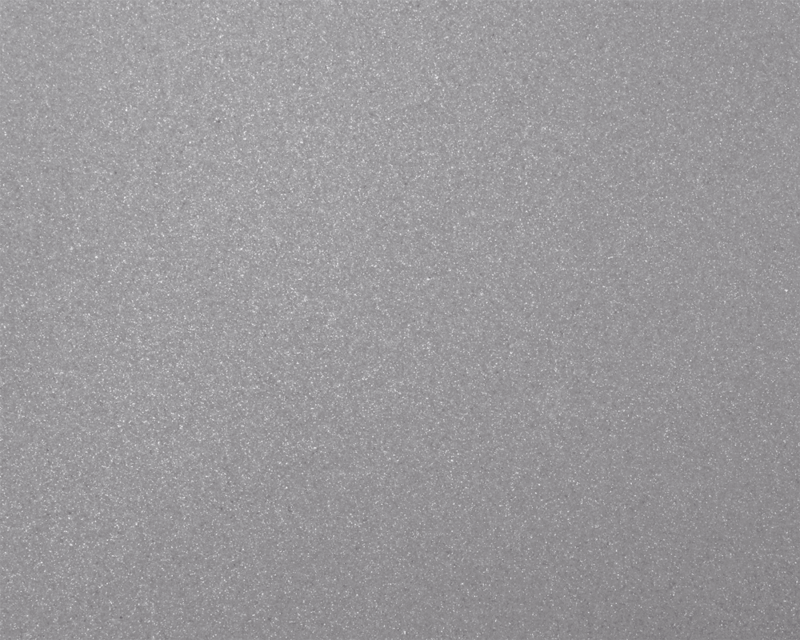 The non-porous finish of our TruGranite sinks gives it anti-bacterial properties. 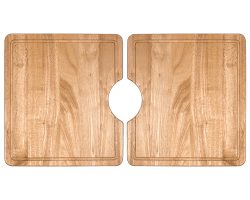 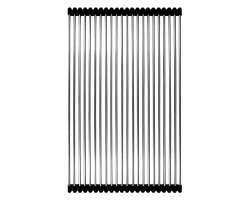 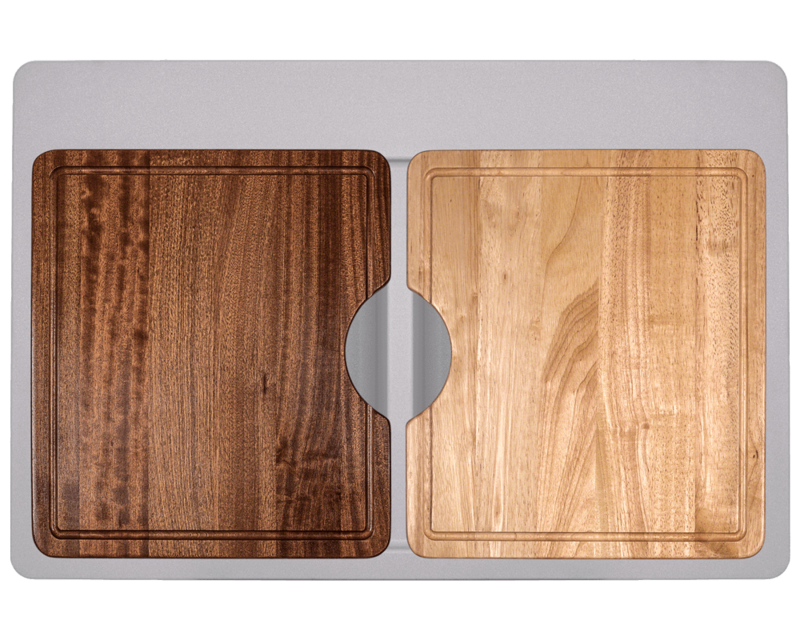 Besides this anti-bacterial quality, the T802-Silver is stain, scratch, and heat-resistant up to 550 degrees. 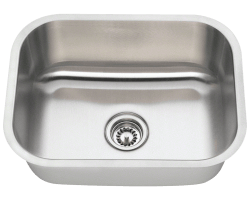 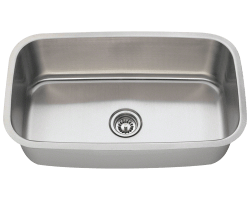 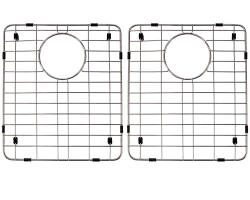 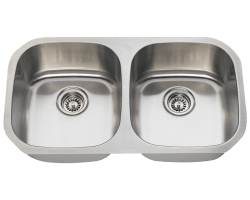 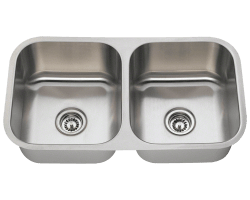 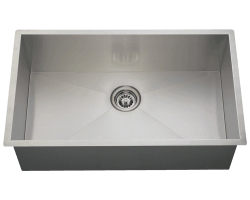 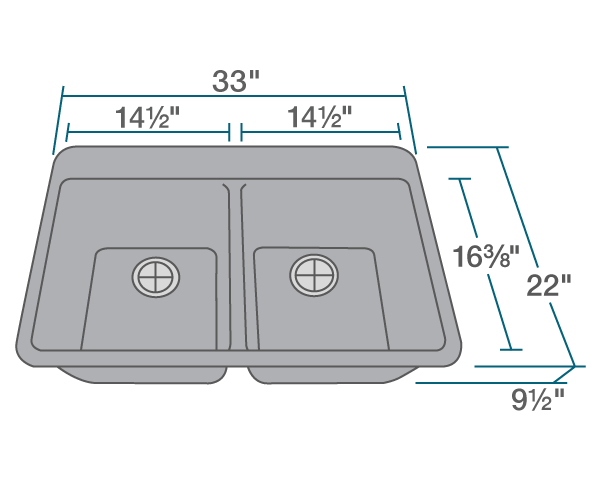 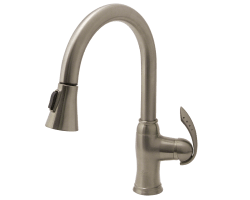 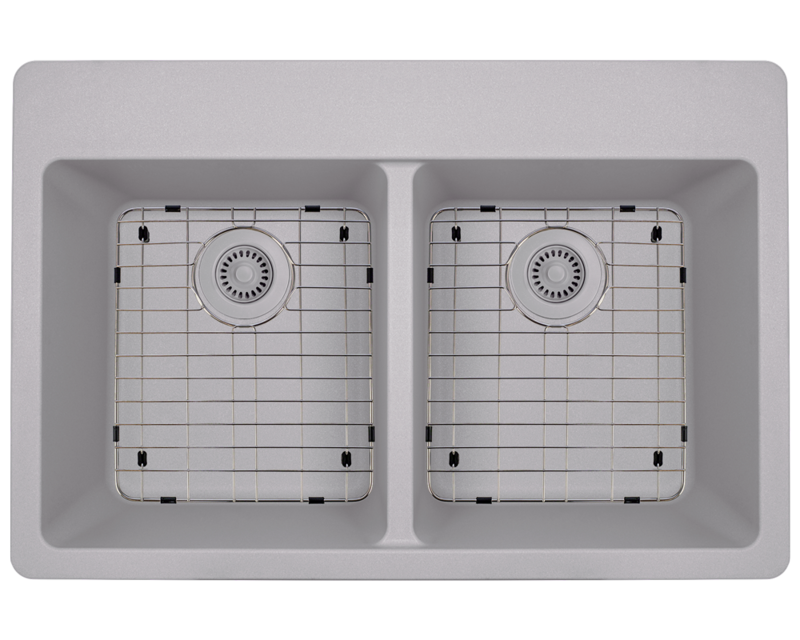 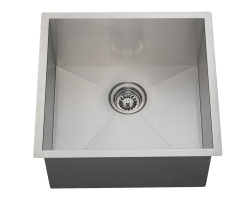 The overall dimensions of the sink are 33" x 22" x 9 1/2" and a 33" minimum cabinet size is required. 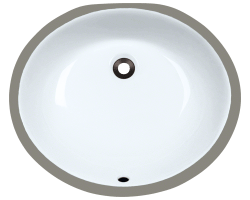 Its 3 1/2" drains are offset. 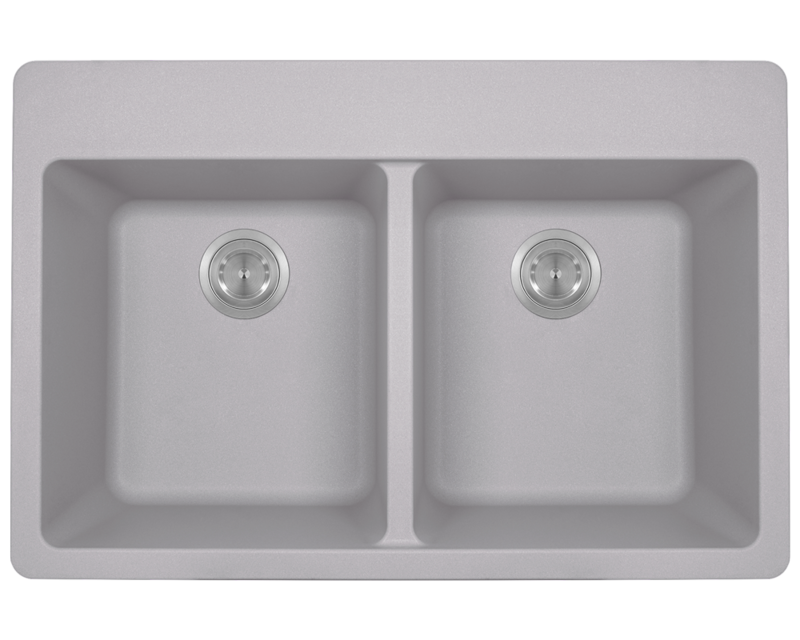 As always, our TruGranite sinks are covered under a limited lifetime warranty for as long as you own the sink.